First, click on Maps. Then click on the Curriculum Map you want to add standards to. 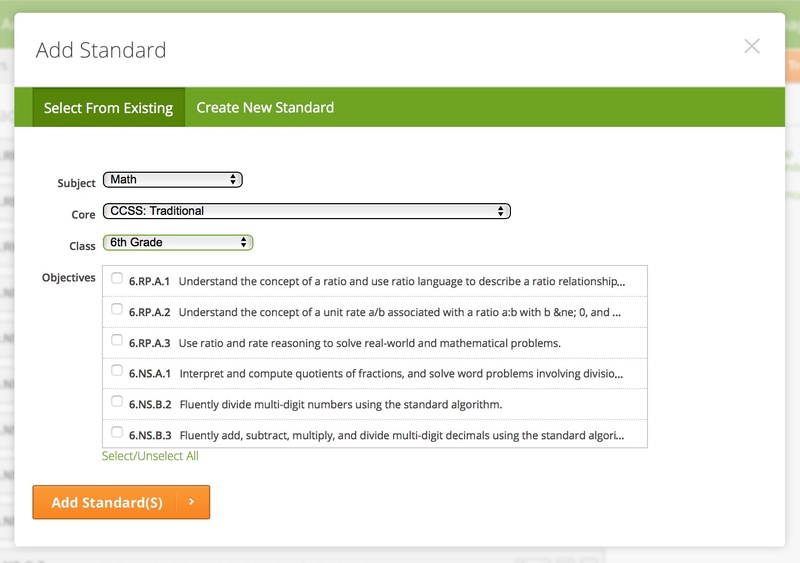 Follow the steps below to add an existing standard, or to create a new one and then add it. 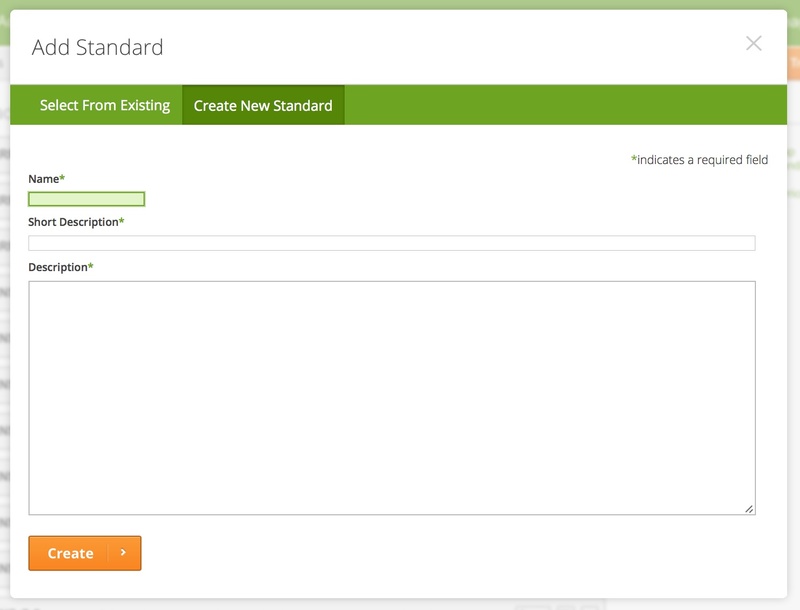 Hover over the orange menu button, and click on Add Standard. Select the subject, core, and class from the drop-down menus and check the box for each standard you want to add. Click on Add Standard(s). Click on Create New Standard. Enter a Name, Short Description, and Description. Click on Create.